Motor carriers and drivers alike have compliance on the mind with the deadline for the Federal Motor Carrier Safety Administration (FMCSA) ELD mandate drawing closer. Many questions around the topic linger, but one of the most common questions has been “What’s in it for me?” But other than compliance and avoiding any penalties or fees, as a carrier or driver, what is your motivation to get on top of this regulatory change? The ELD mandate may have been intended to enforce a standard of safety and make it easier to manage records of duty status (RODS), but implementing a solution can mean all sorts of wins for both carriers and drivers that are far-reaching and long-term, especially simplifying what was once complicated. Win #1: Compliance is only the beginning. Let’s be honest. Your priority for the moment might be compliance, pure and simple, so though it would be nice to see some kind of ROI beyond that, it may not be your focus. But the good news is that ELD solutions can offer much more than avoiding violations and penalties. Identifying a vendor sets you on the right path, but during that process, the vendor will likely have bundling options to partner your ELD solution with a telematics solution to help you see benefits beyond basic compliance. But here’s a warning for you: get started early especially if you’re interested in getting more from your solution. The ELD mandate has some complexity to it and you may find yourself down a few different rabbit holes, so starting early is the key no matter what solution you ultimately choose. For example, are you sure the ELD mandate applies to you? 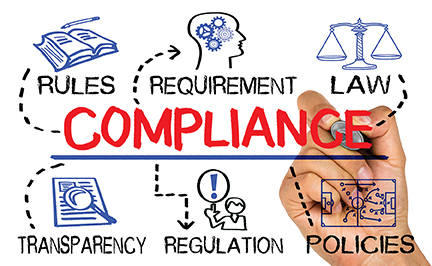 Did you know that a certified vendor and registered ELD solution don’t necessarily guarantee compliance? As you answer one question, new ones are likely to creep up. Win #2: Get rid of those stacks of paper on your desk. Paper logs are more than just a hassle; they’re a big disadvantage to carriers and drivers. They can leave you at risk for inaccuracy and keep you behind the times—and behind your competition—for example, by increasing your response time, potentially lowering the quality of your service. That means possibly leaving money on the table. Electronic logs help you say “goodbye” to wasted time catching up on stacks of driver logs, tracking down missing logs, decoding illegible entries, and digging through pages for an old record. With an ELD solution, what was manual and time-consuming becomes efficient, guesswork becomes precise, and what once required time spent digging is now at your fingertips. This translates to more time to do the things that can take your business further, the things that really set your business apart. Win #3: Drivers can focus on driving. Eliminating the hassle and clutter of paper logs benefits drivers as well, allowing them to focus on what they’re out there to do: drive. ELDs help reduce time-consuming and headache-inducing paperwork and avoidable communications with dispatch. Many ELD solutions will even keep record of driver activity in the event of an accident, relieving drivers of the burden of providing evidence. Without the distractions and interruptions of a paper log, drivers can focus on getting to their destination safely and providing the best customer service. Win #4: “Safety first” becomes a reality. We’ve all said it: “Safety first.” We absolutely maintain that perspective as we go about our days and as we work, but have we gone that extra mile to actually put safety first, ahead of everything else we have going on? ELDs give you near real-time access to Hours of Service (HOS) information and the ability to set up alerts to prevent HOS violations. This helps drivers and managers to share the responsibility of preventing violations and take an active role in driver safety. If you choose to bundle your ELD solution with a telematics solution, you can identify ways to improve driver behavior and keep vehicles performing their best, while also monitoring vehicle activity during off-hours. Using a single platform, you can automate alerts about hazardous driving behavior and search through logs easily and any time. Win #5: You’re made for each other. If you’re currently tracking HOS, you’re likely already deep in the pursuit of finding the right ELD solution. The right ELD vendor will not only help reassure you that you’ll be in compliance before the December 18 deadline, but also help customize the solution for maximum usefulness for your company. Whether it’s simply transitioning to electronic logs or as comprehensive as optimizing routes, cutting down on fuel costs, reducing hazardous driving behavior, and generally improving productivity, ELDs help remove guess work. A quality vendor will help make your transition smooth and as effective as possible by getting to know you and your priorities in order to make the most of all that comes with implementing an ELD solution. Todd Ewing is the director of product management for Fleetmatics.